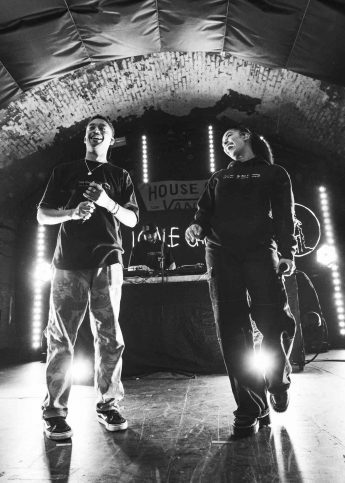 Gal-Dem partners Imkaan for a House of Vans takeover. Arriving with a bang in 2015, Gal-Dem has since led the way for championing women of colour as a digital magazine, creative collective and must-have print title. Ahead of International Women’s Day (which falls on the 8th), this Sunday the group will be taking things IRL with a one-off event at London’s House of Vans, helmed by filmmaker Jade Jackman. “Hear Our Voices” will see the Waterloo space transformed, figuratively if not physically, celebrating women from all walks of life by way of film screenings – introduced by Politics Editor, Leah Cowan – workshops, a photography exhibition and panel talks; Social Media Editor Paula Akpan will be in conversation with model and activist Munroe Bergdorf from 16:35, so be sure to make a note on whatever calendar best serves your memory. Elsewhere works by Adama Jalloh and Bernice Mulenga will be on display as part of “Documenting Living London” for 10 days, while QTPOC makeup artist Umber Gharui and NUS Women’s Officer Hareem Ghani will sit on the panel discussing an end to violence against women. Free for all to attend – further details here – any proceeds made will be donated to Imkaan, the only UK-based second-tier women’s organisation dedicated exclusively to addressing violence against black minoritised women and girls. We’re in.